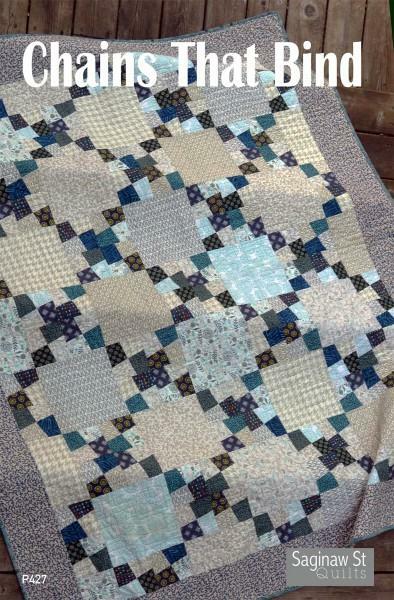 This quilt is stash-friendly, meaning if you happen to have a fabric stash, you can dive in and cut a variety of 8" x 40" strips for the blocks. 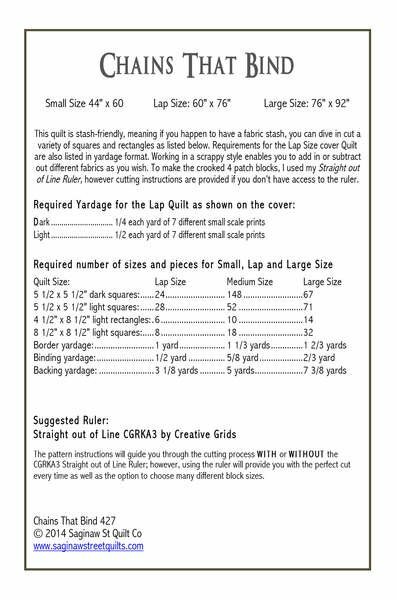 The pattern instructions will guide you through the cutting process with or without the Creative Grids Straight Out of Line Ruler; however, using the ruler will provide you with the perfect cut every time as well as the option to choose many different block sizes. Finished sizes: Small 44in x 60in / Lap 60in x 76in / Large 76in x 92in.